Health Partners Plans (HPP) is a not-for-profit health organization and a leader in managed care. This year, they formed a groundbreaking partnership with Broad Street Ministry and Philadelphia FIGHT, who use 315 S. Broad Street as a satellite medical clinic. HPP supports those struggling with homelessness and chronic health conditions at BSM by providing Philadelphia FIGHT with a full-time HPP social worker. Pairing social work with medical services is crucial for getting our guests the integrated care they need. Not only has HPP added their medical expertise to BSM’s Concierge (Social Work) department, they’ve provided transformational gifts that have added wraparound support for BSM guests. This year, HPP made a large donation of backpacks that have been distributed to hundreds of guests. At BSM’s annual Be Our Guest Event, HPP lead the way in becoming a 2018 event sponsor. Their quarterly meal sponsorships will provide over 1,200 delicious and nutritious meals, served with radical hospitality. At BSM we strive to break down barriers, and this year, we’re excited to have HPP helping us champion that fight. We are so grateful to have such dedicated partners who are committed to improving the way our guests receive basic human needs, such as medical care, clothing, and meals. We are humbled by their wraparound support, and are looking forward to what the year ahead has to bring. 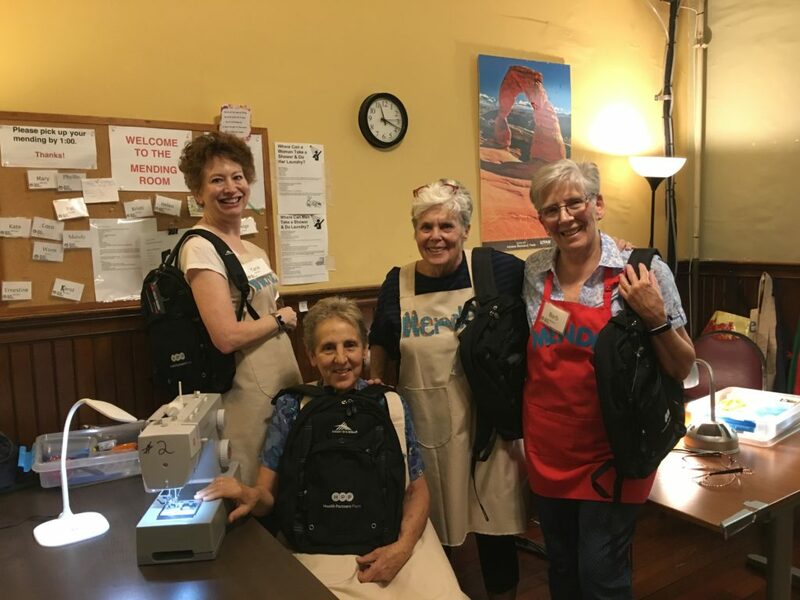 BSM’s Menders showing off the generous backpack donation!